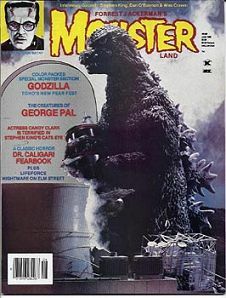 June 1985 issue of Monsterland with Godzilla on the cover. Mint condition. This was the third issue of Mr. Monster's return to the monster magazine scene. Website design and hosting by Sohodojo Business Services. Item 104 of 466 items displayed in viewer. 0 items in cart.